The Par 3 Contest at the Masters was canceled for the first time in 56 years after bad weather threatened much of Georgia. Only 26 players started their rounds, and no winner was declared. 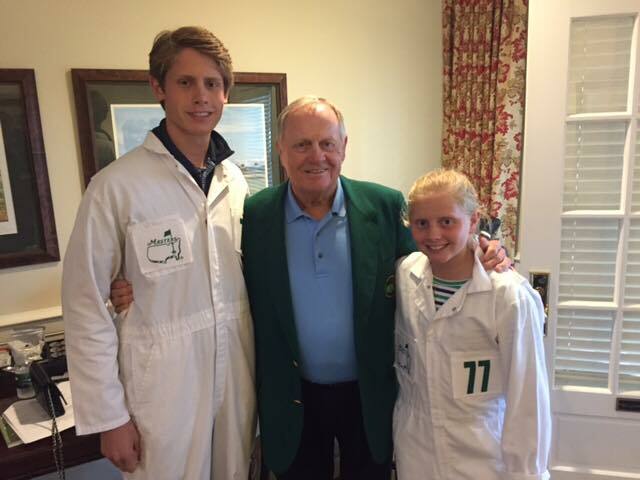 Michael and Frankie Nicklaus, the Golden Bear’s grandchildren who were there to caddie for the record six-time Masters champion, also known as “Peepaw,” instead hunkered down and explored Augusta National’s tournament memorabilia. Nicklaus also participated in several media interviews during the day, sharing fond memories of friend and competitor Arnold Palmer, discussing today’s athletes, and giving insight about the game of golf and playing Augusta National.